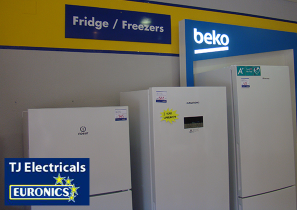 TJ Electricals is a family run business offering a one stop shop for all your electrical needs. 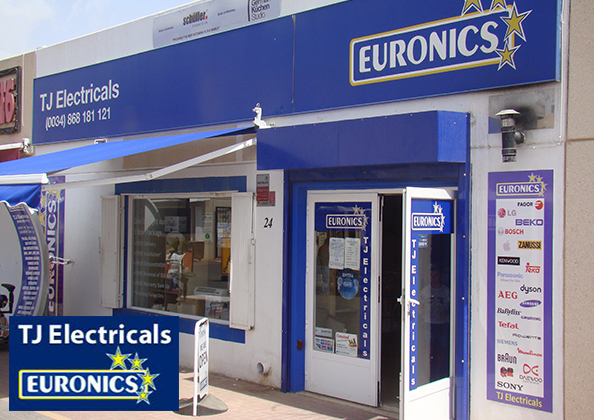 As part of the Euronics Group, you are guaranteed the widest choice of electrical goods at the best prices. 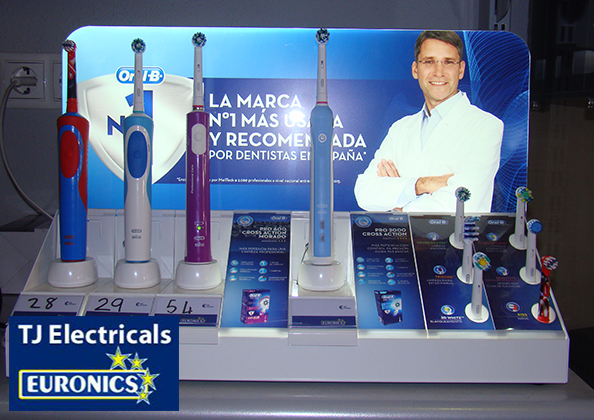 Whatever your needs, our highly experienced staff are able to offer a competitive solution, explaining the differences between the products in English or Spanish. 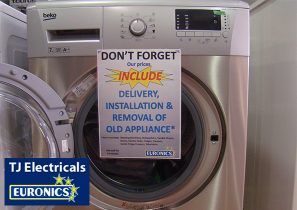 We stock different brands including Washing Machines, Tumble Dryers & Dishwashers from our extensive available range, please ask for more details. 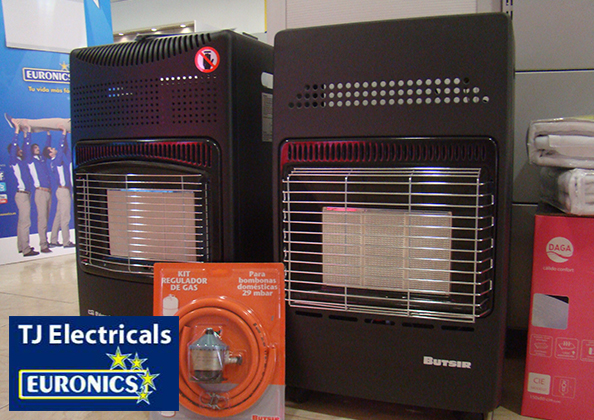 We stock several different sizes, with many more available, please ask in store for more details. 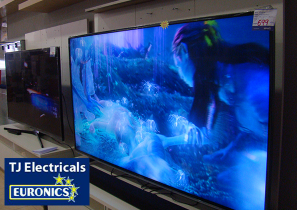 Amazing prices for all sizes, we can even install and set it up! 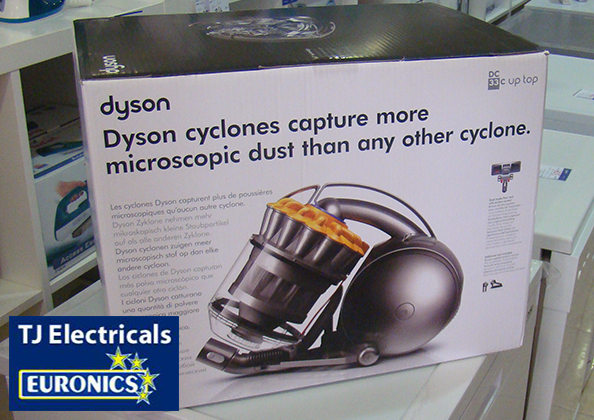 ask any member of staff for details. 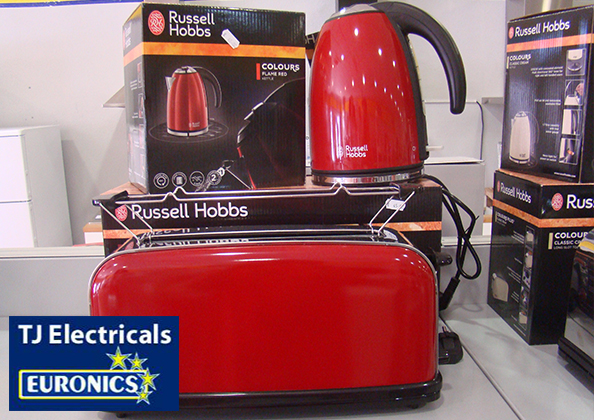 Huge range of electrical goods & appliances available. Please ask any member of staff if you don't see what you’re looking for. 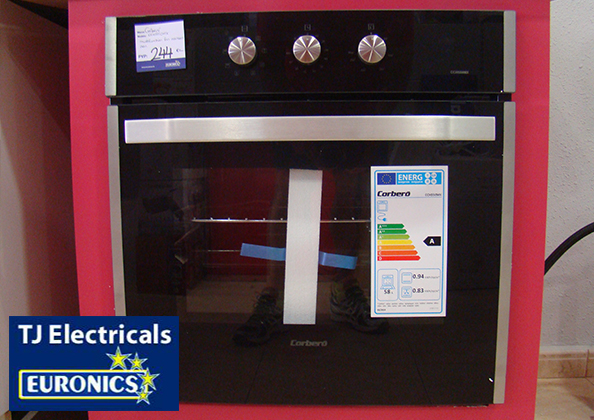 Buying an appliance? 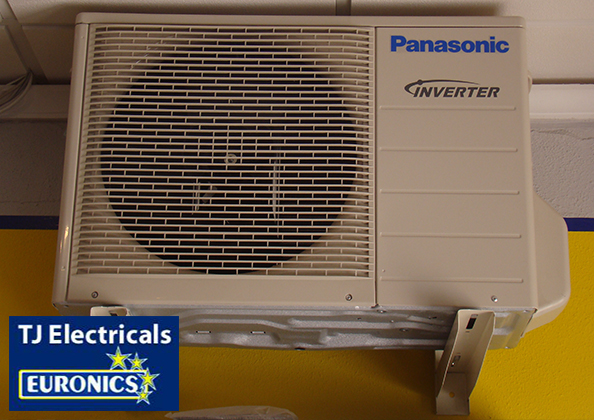 TJ Electricals can help. 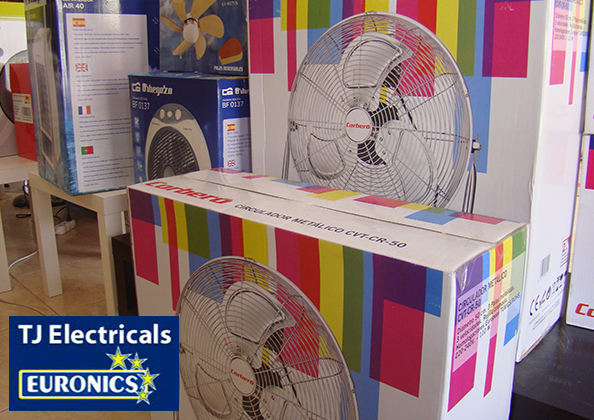 Get handy hints and tips on everything from TV’s to tumble dryers. Come and talk to the experts. 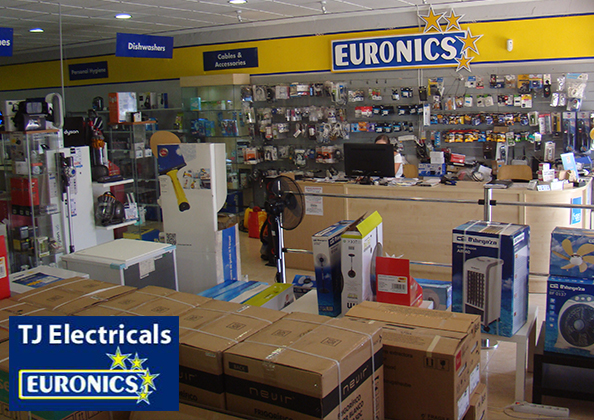 As part of the “Euronics” Group, you are guaranteed the widest selection at competitive prices. We deal with all major brands, and we can create totally bespoke orders by request. 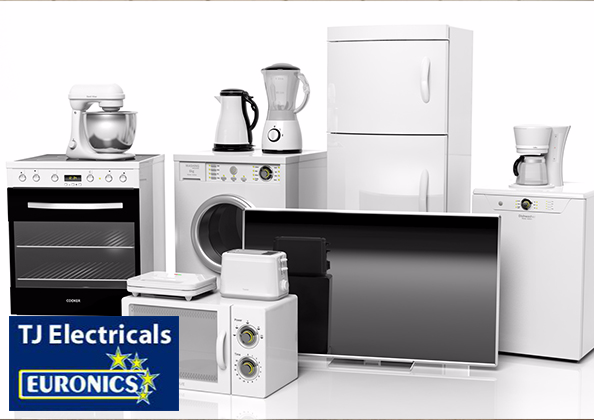 We have an extensive range of small electrical appliances including many beauty products such as electric shavers, hairdryers, hair straighteners, epilators & more. 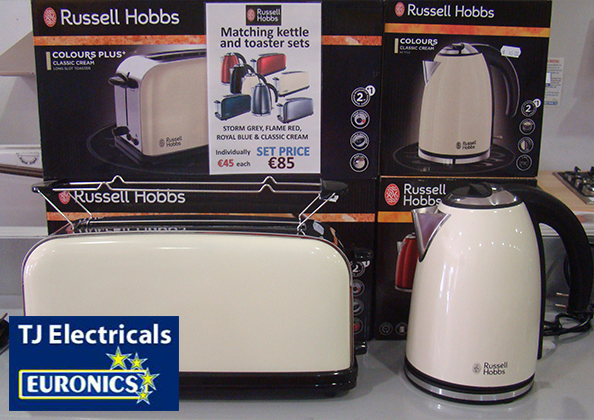 For the Kitchen, we have matching kettle and toaster sets, coffee machines, blenders, Dyson vacuum cleaners and steam mops. 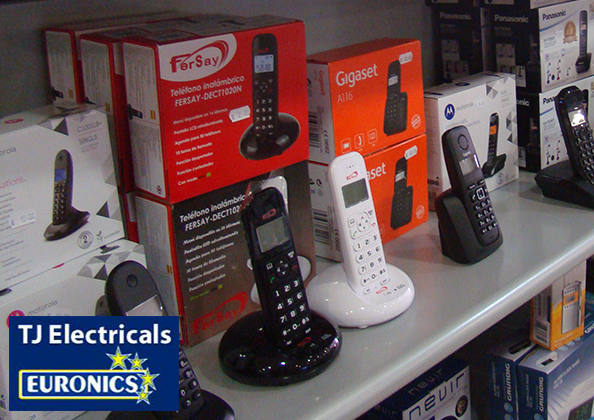 Cordless house phones, portable music players, radios, USB cables for Phones and printers & much much more. Come in and have a browse! Seriously great! 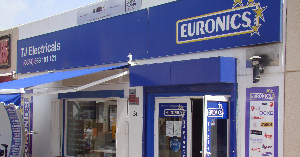 Answered every question we had, very knowledgeable, they service what they sell (which is great news!). We checked around for prices so we knew what we were buying was the best price - really well pleased. Will be going back for other items as needed! Highly recommend. Very helpful always nice to go there not a bit push at all just go in and wonder round , very good prices. Very helpful and knowledgeable guys. Good prices too! 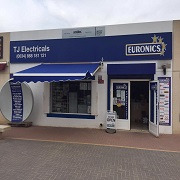 FIND TJ Electricals ON SOCIAL MEDIA!